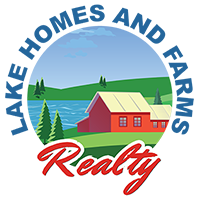 Lake Homes and Farms Realty by Jason Kok has been in the real estate market since 1998. No matter what type of land or rural property you are looking for you can find it here. Along with offering some of the most pristine lake properties and homes, we also provide numerous listings for the best riverfront properties, wide-open acreages, hunting land, and farms in Iowa. Once you start your search with us you may even find yourself discovering a piece of land that exceeds your dreams and expectations.